Coach Craig Golding is in his first season as Head Men's Soccer coach for the Piedmont Bruins. Education: Golding received a degree in Tourism Management from Harlow College in Harlow, England. Professional: Coach Golding started his coaching career as the Assistant Women's Soccer Coach at Minot State University from 2009 to 2012. During his time with the Buckshots, he helped lead the team to become the NCAA DII NSIC Tournament Champions. Golding then took a position with John Wesley University as the Men's and Women's Head Soccer Coach from 2014 to 2018. In 2016, the JWU women's soccer team was NCCAA DI South Regional Champions. Through the merger, Golding became the Head Coach at Piedmont. Personal: Coach Golding is originally from Essex, England. Trey McLaughlin is in his first season as Assistant Coach for the men's soccer team at Piedmont International University. Education: McLaughlin received his Bachelors' degree in Interdisciplinary Studies from LeTourneau University. He is currently pursing his Masters at Piedmont International University. Professional: Coach McLaughlin coach at both the youth level and high school level in Texas before joining Piedmont International. 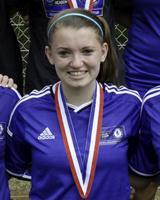 Collegiate: McLaughlin was a four year starter for LeTourneau University's soccer team (NCAA DIII -Longveiw, TX). He was awarded All-Conference Forward during his time there. Personal: McLaughlin is from Dallas, TX but has since moved to Winston-Salem, NC with his family.